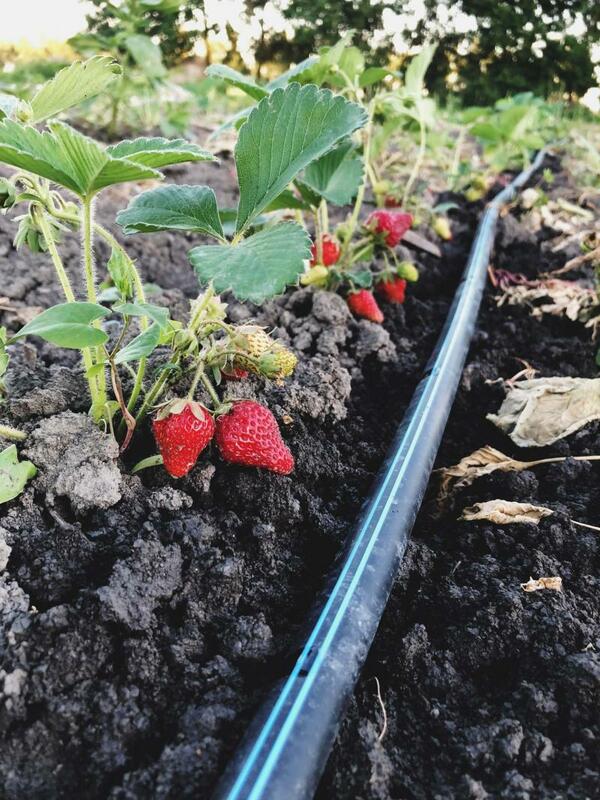 Consider installing a drip irrigation system that delivers water directly to your plants’ roots. Eco Lawn MicroClover is a blend of grasses and clover and has been bred to stay green from spring to winter. ReGen Composites recycles your plastic waste and turns it into usable products like this park bench. 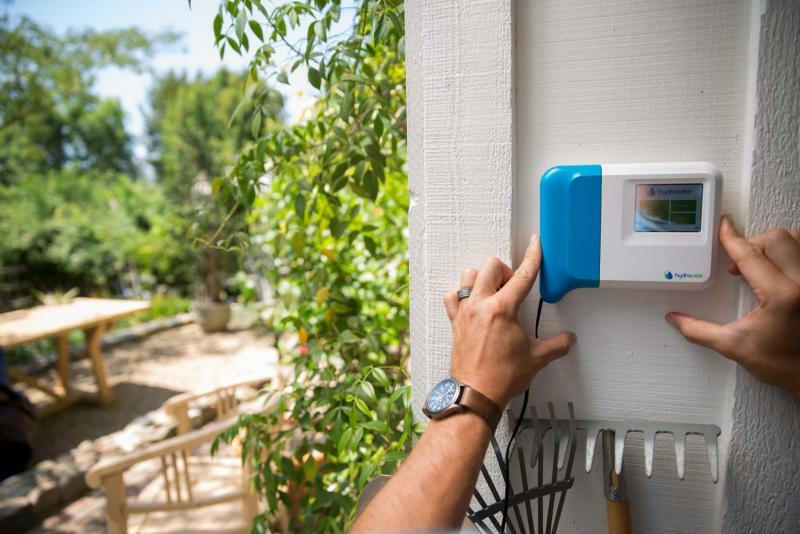 The Hydra-Wise Wi-Fi irrigation system promises savings on your water bill by automatically adjusting watering based on local weather data. 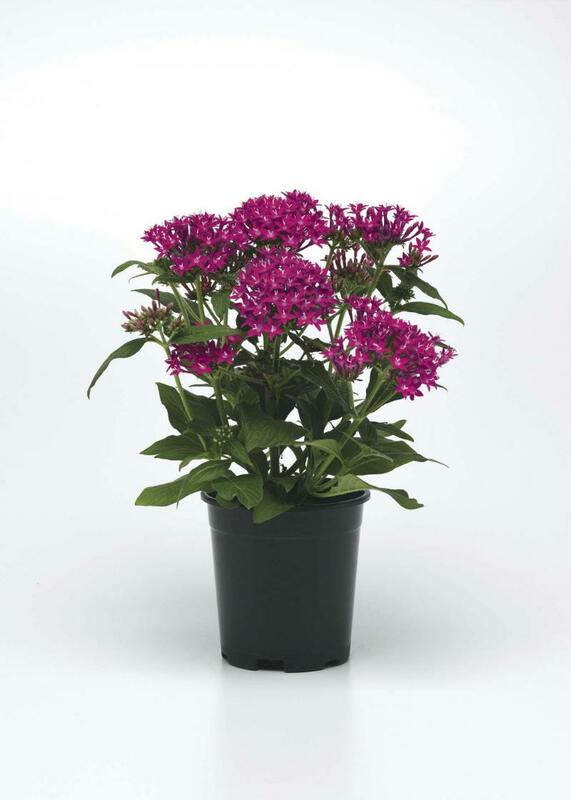 Nice plant (new for 2019: Lucky Star Raspberry Pentas). Now what will you do with the empty plastic container? Plan to reuse or recycle. Feeling a disconnect between carbon taxes and carbon rebates and how it all fits into the grand scheme of things? Here are some examples of local businesses that are embracing green solutions as well as practical steps you can take to reduce your own carbon footprint. Gardeners pile up reams of plastic plant pots. When a local company, HJS Wholesale, collected plastic pots returned to garden centres by customers through an initiative called Blooming Good Idea and sent them at their own expense to a partnering company, ITML, in Brampton, Ont., for a process called closed-loop recycling that turned them back into pots, it seemed like a blooming good idea, indeed. The project failed for two reasons: only a few garden centres displayed the collection containers, but mostly, consumers ignored the basic rules for accepted materials. Jensen’s Nursery and Garden Centre at 2550 McGillivray Blvd. continues to accept plastic nursery pots. "We accept hard- or soft-shell black nursery pots," Susan Jensen says, "and try to reuse as many as we can." In the past, Jensen’s would take the plastic pots they couldn’t use (soft, thin, lightweight plastic or pots branded with company names or logos) and bring them to Brady Road Landfill. As a commercial customer, though, they will no longer have access to the 4R Depot in 2019, when all loads will be subject to commercial disposal fees. Jensen’s Nursery wants a viable and cost-effective way to recycle plastic nursery pots. "It’s important to leave a small footprint on this earth," Jensen says. ReGen Composites, across the road from Jensen’s Nursery, is stepping up to the plate on a large scale. New equipment that will be fully installed in November will allow them to utilize materials which are difficult to recycle, such as plastics and wood or fibre-reinforced composites. Michelle Gowdar, owner and chief operating officer of ReGen ­Composites, says that its mission is to create a healthier planet by offering solutions to reduce landfill waste and to support sustainable construction. Note that ReGen Composites is a manufacturer, not a recycling facility. 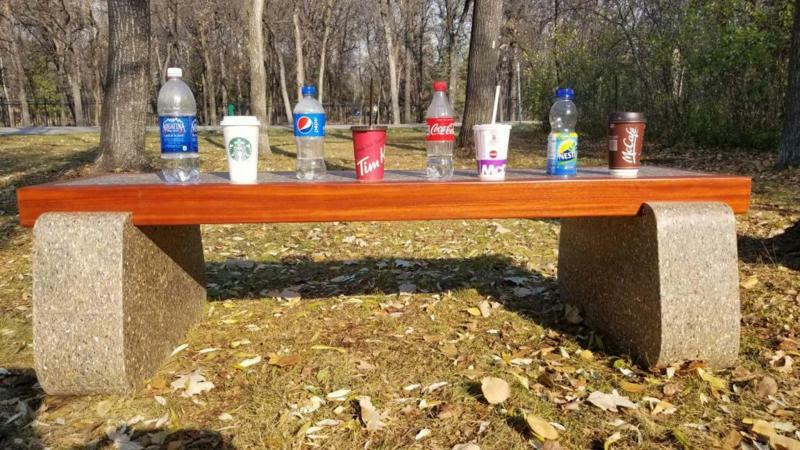 It will, however, take your plastic containers and turn them into an attractive, usable product such as park benches. Sometime after Dec. 1 (check their website at regencomposites.com for full details), plastic nursery containers that are cleaned and stacked in secured plastic bags can be dropped off. Wondering what to do with your live Christmas tree after the holidays? Gowdar says that ReGen Composites also takes Christmas trees or will pick them up for a fee. "We put them through a specialized chipper," Gowdar says. "They make our products smell nice." "ReGen also accepts paper coffee cups, plastic lids and straws from Tim Horton’s, Starbucks and McDonald’s — the whole meal deal," Gowdar says. Plastic lawn furniture? "We are gearing up to take that as well," she says. If your high water bill is giving you sticker shock, excessive watering to keep your grass green during a drought cycle may be part of the problem. Breeders at DLF Pickseed have developed a drought-tolerant grass seed product — Eco Lawn MicroClover — specifically with our changing climate in mind, says Derek Rodgers, vice-president of western sales. Once established, Eco Lawn MicroClover needs very little fertilizer, fungicides and water compared to Kentucky bluegrass, Rodgers says. 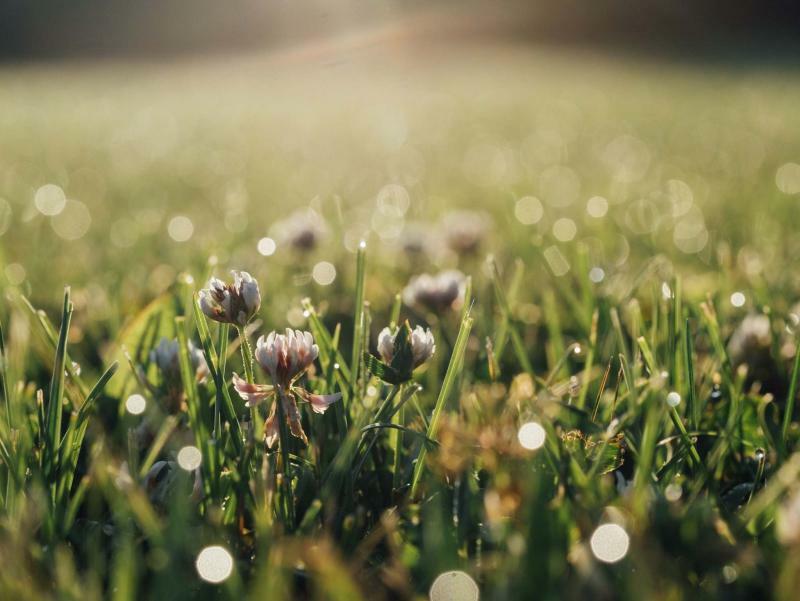 This environmentally friendly and low-maintenance turf solution is a blend of grasses and clover and performs well in both sunny and shaded areas. Amazingly, MicroClover has been bred to stay green from spring to winter and is tolerant of exceptionally low mowing heights. No nitrogen is required, Rodgers says. This revolutionary product has very tiny leaves. The flowers are attractive to pollinators and beneficial insects. Good quality soil, seed to soil contact and adequate water are recommended to establish MicroClover. If you prefer Kentucky bluegrass, consider ways to improve your irrigation practices. Matthew Kellas, account manager at Consolidated Supply, says that rain harvesting is the future of sustainable irrigation. "In a warming climate, there are more extreme precipitation events," Kellas says. "Rainwater-harvesting systems collect and store rainwater for later use, particularly during a drought cycle, and help to prevent stormwater runoff." Recently, Kellas says, a Winnipeg homeowner invested in a Bushman Slimline water tank which holds 10,693 litres of water and retails for more than $7,000. OK, so that’s a little extreme for the average suburban homeowner, but Kellas says there are other practical options. For homeowners who have underground irrigation, a Hydra-Wise Wi-Fi control system allows for smart irrigation and savings up to 50 per cent on your water bill. Developed by Hunter Industries, the system automatically adjusts watering based on internet-sourced local weather data and allows you to control your irrigation system from your smartphone. Christopher Spicer is the business development manager at SiteOne Landscape Supply. He says that more of SiteOne’s clients are choosing to install drip irrigation systems that use smaller amounts of water than other irrigation techniques. A low-pressure system that consists of long tubes fitted with emitters, water is directed at the root zones of plants, resulting in reduced loss of water to evaporation and runoff. Spicer says homeowners are also installing flow meters to measure water usage. What about fuel emissions? New to the Winnipeg market, Clintar Landscape Management Services provides commercial property services and has won numerous awards for its environmental-sustainability standards. Clintar uses battery-operated equipment which emits zero carbon emissions, says Jason Wexler, area manager. To get the job done right, they use battery-operated line trimmers, hedge trimmers, blowers, chainsaws and mowers. Clintar’s sustainable approach extends to the use of mulch to conserve moisture. This winter, Wexler says, they are experimenting with an eco-friendly de-icer made from a vegetable source. Clintar has franchises in the Maritimes, Ontario, B.C., Alberta and Manitoba. Hearts and Roots is a certified organic CSA farm in Elie owned and operated by Britt Embry and Justin Girard. The hot and very dry growing season meant that conditions were less than ideal for vegetable varieties that thrive on abundant water. "We used drip-tape irrigation for some crops and low-flow sprinklers for others, depending on their needs," Girard says. Going forward, Embry and Girard plan to make greater use of mulches like leaves, straw or grass clippings to conserve moisture and add organic matter. In 2018, they reduced the size of their farm from five acres to about 3 1/2 acres and grew more food with higher yields while relying on smaller equipment and more hand tools. Instead of a Rototiller, for example, they used a walking tractor fitted with a power harrow resulting less disturbance to soil structure. "Reducing our carbon footprint is something that concerns us," Girard says, "but every year we’re making strides." Girard and Embry plan to plant fruit and nut trees and are adding new perennial crops to their roster, including asparagus and strawberries. "Our guiding principle for the next couple of seasons will be more roots in the ground," Girard says. Roots sequester carbon and feed and protect the soil. One way to reduce your carbon footprint is to buy local. To sign up for a CSA box of farm-fresh and locally grown vegetables next year, visit heartsandroots.com.